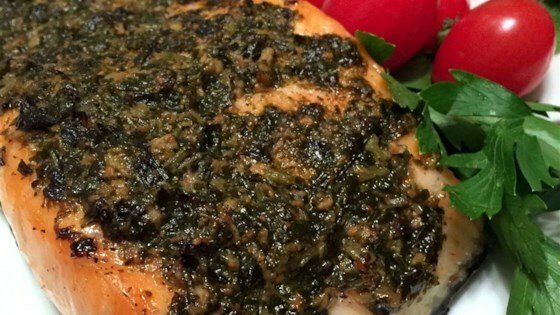 "Start with the great taste of grilled salmon then finish under the broiler to form a crust of homemade pesto. This recipe is easy to make, but tastes and looks like a gourmet meal." Nutrition data for this recipe includes the full amount of pesto. The actual amount consumed will vary.